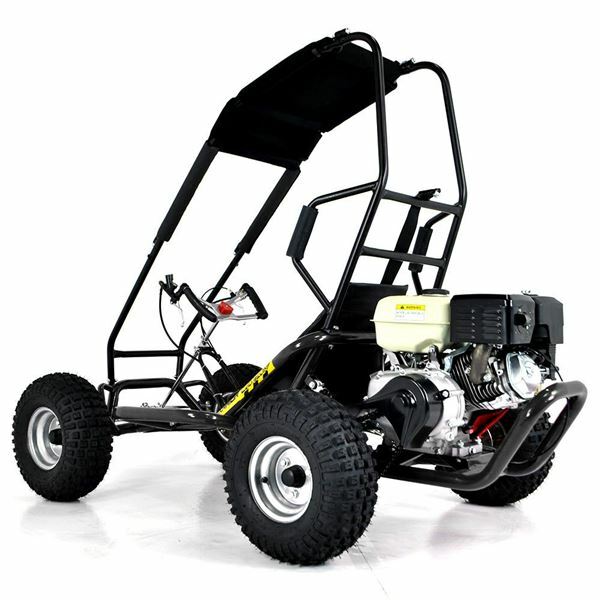 Our Petrol Go-Kart is brilliant fun and now available with roll-over bars. 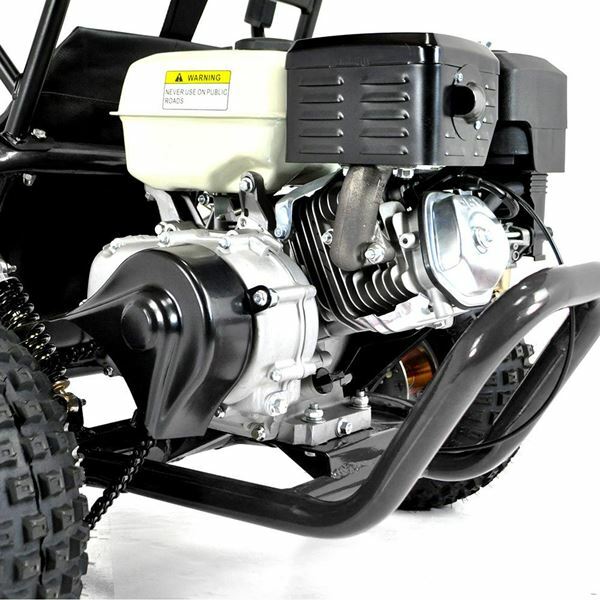 Updated for 2015 with a bigger engine, and a new design wet clutch system. 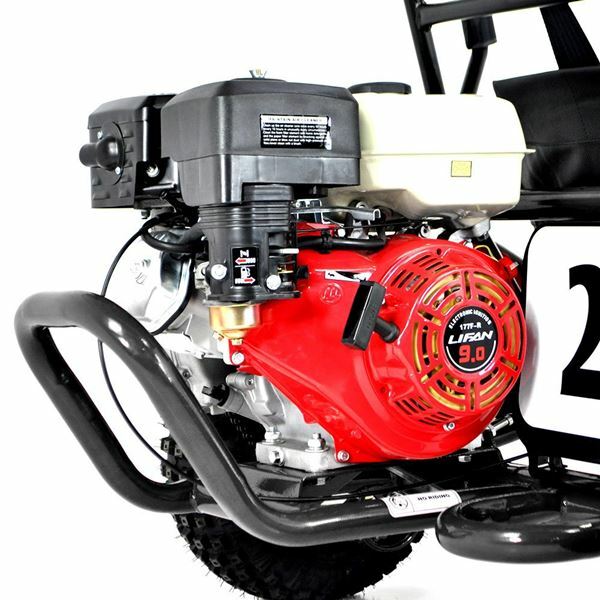 Simply put more power, more reliability and more fun! Unique engine configuration from ourselves, not offered elswhere. 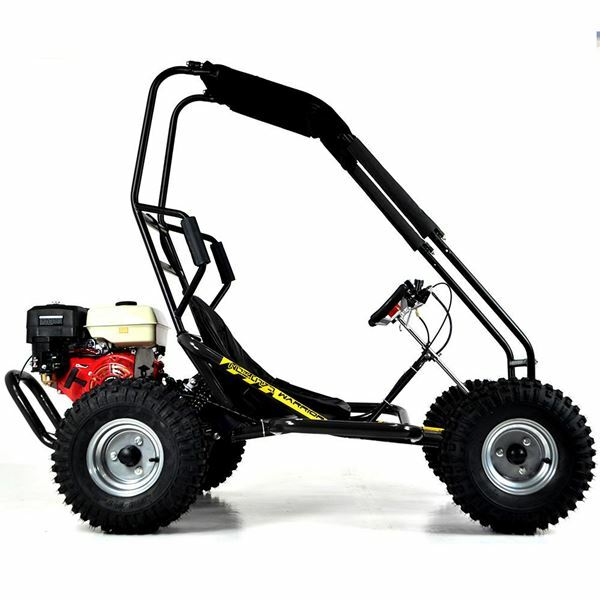 This unique machine is for experienced drivers whom will use the kart in it's higher rev range. 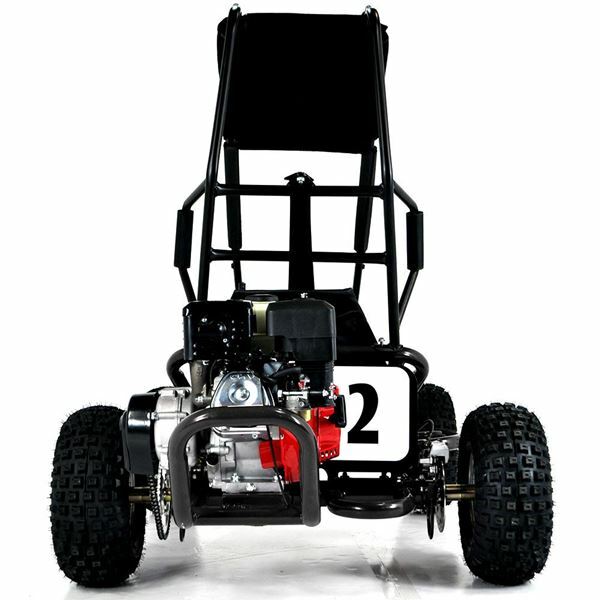 Power slides, wheel spins and top speeds in excess of 30mph can be achieved. 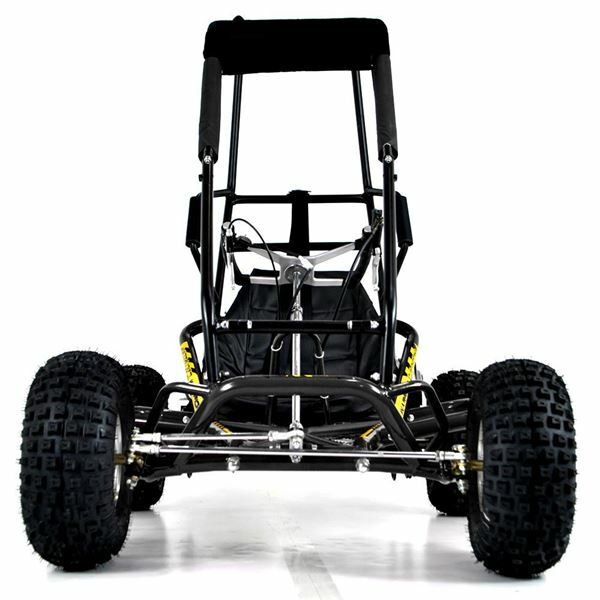 Not suitable as a kids off road buggy. Engine should not be restricted. 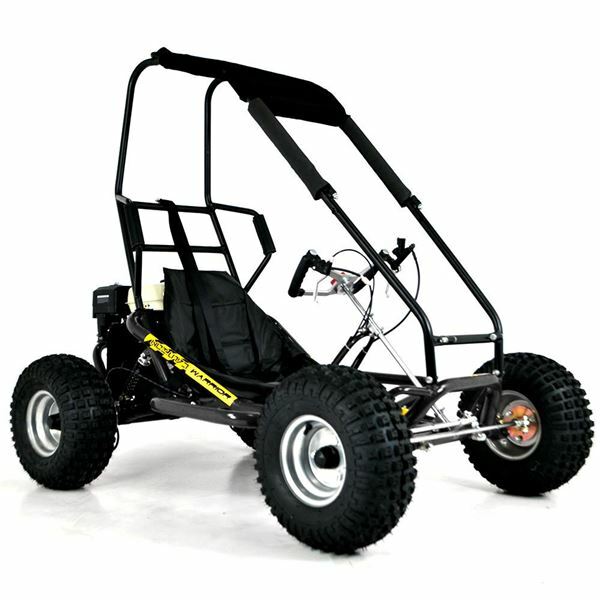 This is a DRIFT kart for drifting. 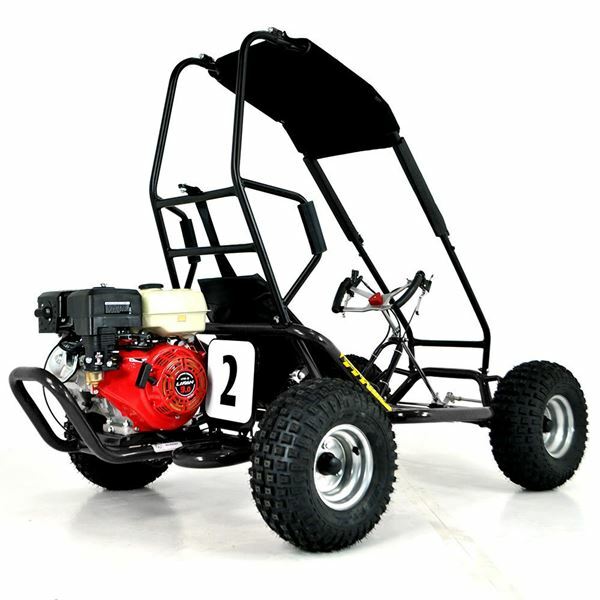 Simplistic strong design, our 270cc Go Kart has a Honda design overhead cam petrol engine, fully auto clutch, single independent rear disk brake, front crash bar, roll over hoops, aluminium checker plate floor pan, rear suspension, rear engine protection bar, fully rose jointed steering, chain drive and padded driver's seat. 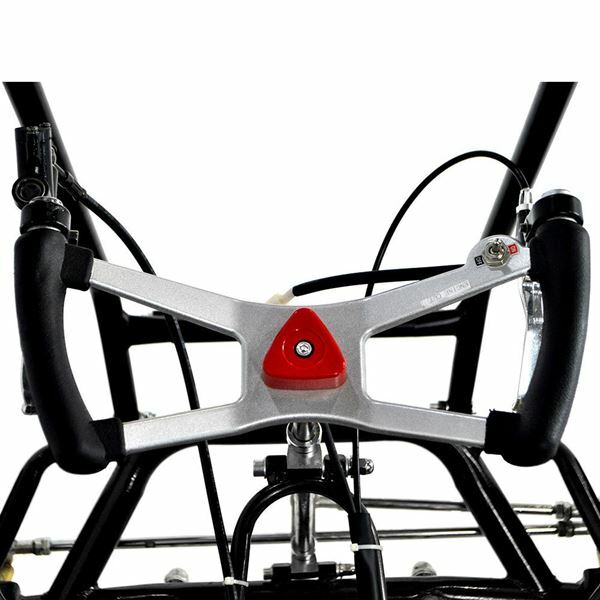 The F1 pilot style steering wheel has the brake and throttle mounted to the sides, and the pull start very easy to use, exactly like a mower pull starter. Requires some home assembly by a mechcanically able person. 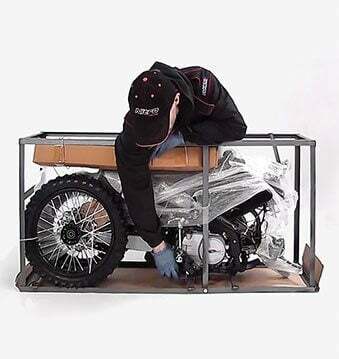 YOU NEED TO HAVE MECHANICAL KNOWLEDGE TO ASSEMBLE AND MAINTAIN THIS VEHICLE. 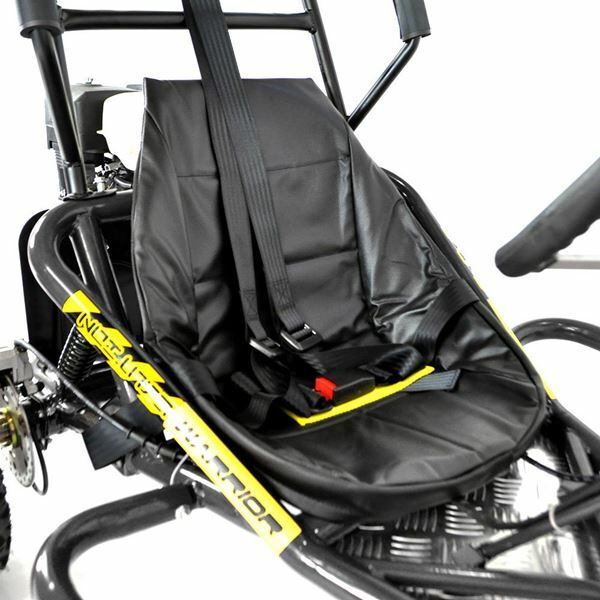 IMPORTANT - CONDITIONS OF USE: All karts are leisure go-karts and as no safety standards are available, driving is at your own risk. 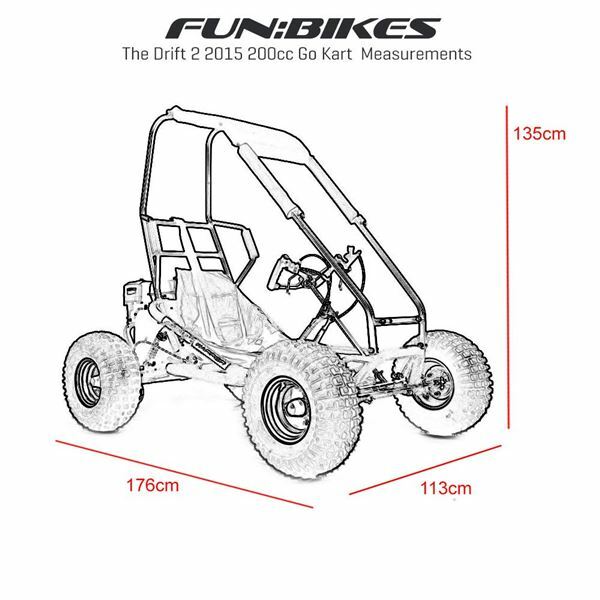 Neither the manufacturer nor FunBikes are liable for personal or other damages neither to participating or non-participating persons. 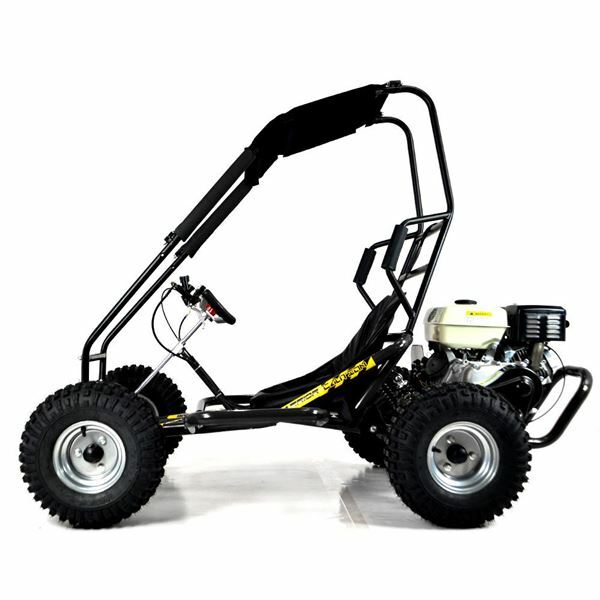 At delivery the owner takes full responsibility for the kart and for the use thereof. 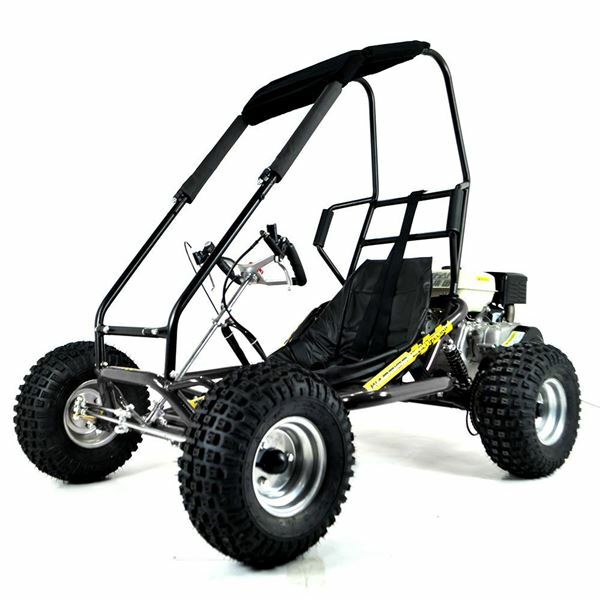 Ensure that the person driving is of an age and size suitable to drive the kart safely. Drivers under 16 must do so only with the permission of their parents and younger children should be accompanied by an adult at all times.